The Macon County ARC had its start back in the 1950's in Bevier, MO when a group of young Hams came together at the Rock Tavern and organized the first official Radio Club in Macon County. In the beginning the core of the MCARC were the Radio Operators of the Missouri Highway Patrol Troop B. In the late 1960’s the Club moved to a building in Stephens Park in Macon and were there until the City decided to use the building to store lawn mowers. We then moved into the basement of the old Macon Post Office which had been changed to the HQ for the Missouri University Extension Center. A power pole was pressed into service and a beam was installed. Larry Willingham, KØARS, built an operating desk and Tony Lolli, KØATY, donated a HF Transceiver for the club to use. We met there until the Extension Center moved and met in the homes of members for several years. The MCARC then began meeting at the Macon High School Physics room where Dale Bagley, KØKY was the Physics Teacher. Starting in 2005 until the present the MCARC meets in the Community Development Building in downtown Macon. The Club has been affiliated with the ARRL since Sept. 30th 1972. The Macon Area Repeater Council has an open repeater on 146.805, PL 156.7 Hz and a Digipeater on the APRS frequency. 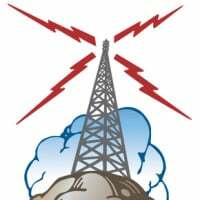 The MCARC participates in ARRL Field Day every year and has finished first or second in the 2AC division for the past several years with over 800 contacts. We have a stocked Volunteer Exam Team and hold classes for Technician's License on an as needed basis. The Macon County ARES program is made up of the active MCARC members. The Club has a special event station to commerate important events or individuals that are related to Macon County. In October 2013, a Special Event Station was set up to honor Pulp Fiction author Lester Dent who's work and life was an inspiration for characters like Indiana Jones. Mr. Dent wrote stories for Doc Savage novels, the Shadow, and several other characters during his career. In addition to writing nearly a thousand stories and many adventure novels, He was a pilot, an Amateur Radio operator, sailed his own boat and hunted treasurer in the Caribbean. If you want to get a colorful Special Event Certificate, be sure to check QST and CQ for the exact dates and call of the operation.